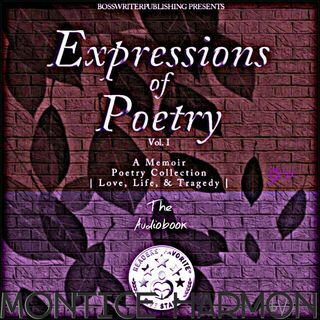 Expressions of Poetry - Love, Life & Tragedy by Montice L. Harmon is a beautiful collection of semi-confessional poems that speak about the poet's trials and tribulations. The poems are a kind of motivation for depressed minds and discouraged people to rise above their problems and face the world with a positive attitude. Most of Harmon's poems are prose poems. He takes prose poems to another level with this collection. The poems all deal with some aspect of the poet's ... Más informaciones personal struggles - his joys and sorrows - and they connect you with his spirit and inner mind. Poetry need not be confessional all the time but it can most often be the result of some soul-searching or some emotions that are embedded in the poet's mind. Many poems are inspiring for the reader. They help the reader to come to terms with personal tragedies and rise above them. The poem 'You' is a beautiful expression of love that will touch any reader. The warm thoughts that the poet shares with his loved one are expressed very differently. It makes the reader feel so good. 'What Will I Do' concerns the author's desperation about life and how he overcomes it by faith and determination and changes it into a positive feeling. The prose style gives more options to be more expressive. It reminds me of the prose poems of Tomas Transtromer where the poems are more like a narration than verses. These poems are also a kind of example for poets wanting to try out prose poems.